At JBF National, we carry an adjustable handle to fit any purpose. 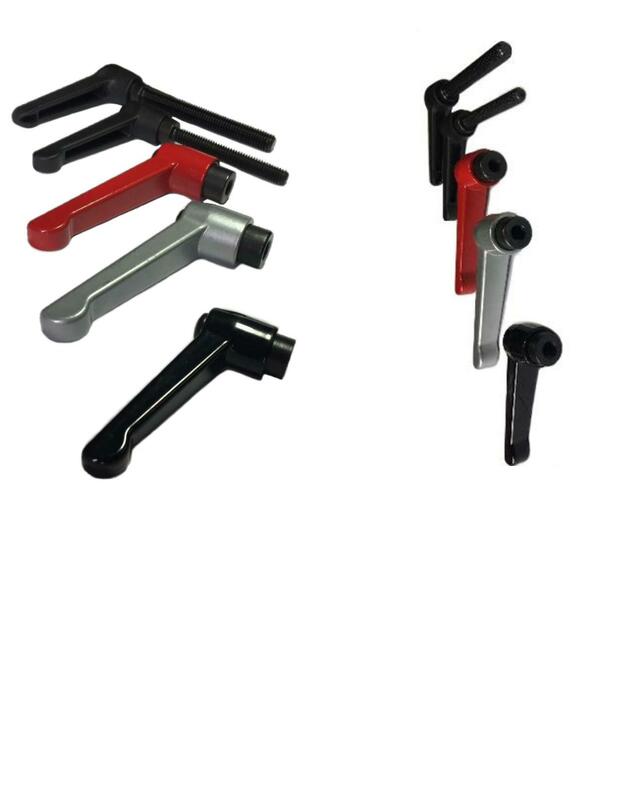 Our clamp levers are RoHs compliant and are available in a variety of colors including red, yellow, gray and blue in addition to the standard black powder finish. Chrome finish available on select and custom models. These color choices combined with our huge selection of handle styles and thread length and sizes, ensures that we have the clamping lever to suit your project needs. Give one of our highly trained sales engineers a call today for more information.